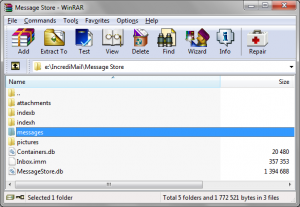 Pack e-mail folder structure into a single RAR or ZIP archive. You can use either the means built into Windows, or download a third-party tool. Where my email files are located? Our service supports the following formats: EML, MSG, Thunderbird, Incredimail, Mac Mail, The Bat!, Gmail (Google takeout), MBOX, MBX, Entourage, Turnpike, Netscape, Postbox. Contact us if you don’t know what folder you need to add to archive. Thunderbird to Outlook PST Conversion step-by-step. 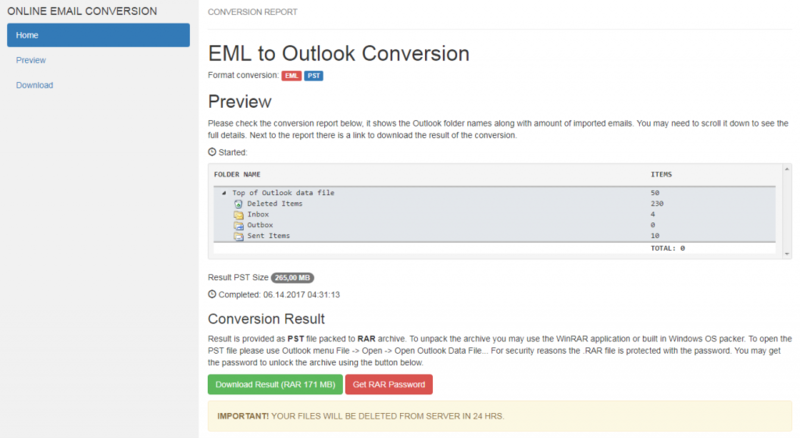 How to prepare Gmail messages and convert them to Outlook PST? Mbox to PST Conversion explained. Don't know how to pack files? Click here for the instruction. Archive name and parameters window will appear, if you wish, you may change the archive file name at this step. Press OK button to start the archiving. Security of upload is guaranteed by our uploader tool and secure SSL connection. Your emails remain protected before, during and after conversion. The uploader tool is digitally signed, free and does not require installation. Click here to learn how to use the service uploader. Run the uploader tool and specify your e-mail address. You will receive the password to the secure RAR archive with converted PST e-mails to this e-mail address. Browse for the RAR or ZIP archive with your e-mails (Use “…” button). Click the “Upload” button to upload the file to the conversion Cloud. As soon as the upload is finished, you will receive a confirmation e-mail to the address provided before. The Cloud server puts your e-mails to the conversion queue. Now, sit back in your chair and wait for the process to finish. Ensure that your email provider is not filtering emails from convertemail.online domain. If the email was already filtered and placed to Spam/Junk email folder, open the web-interface of your email provider such as Gmail.com, open Spam folder, select the email from our service and mark it as “Not Spam”. 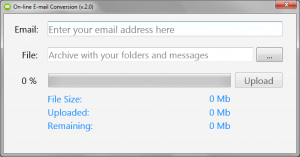 Upload archived emails to box.com, dropbox.com or wetransfer.com service and submit the direct download URL using the form below. As soon as the Cloud server finishes converting your e-mails to the PST format, you receive a web link to the e-mail box you specified on step 2. The link contains the detailed conversion report and the button to download the result. Note that the resulting PST file is packed to the password-protected RAR archive for additional security. Click the “Get RAR password” button to receive the password. “File > Open > Open Outlook Data File”. Get conversion snapshot and decide if you want to pay for the result. Lowest price on market, you’ll never find lower! Have a question? Need help? Don’t hesitate to contact us.